Diana Lang’s books, audio programs, webinars, and workshops have allowed thousands to access the physical, psychological, and spiritual benefits of meditation. In Opening to Meditation, Diana has drawn on her wide experience studying spiritual teachings from around the world and put together a gentle, guided approach to meditation that is very easy to implement. We hope you’ll enjoy this article in which Diana offers helpful tips for using meditation to relax the mind and get back to sleep. 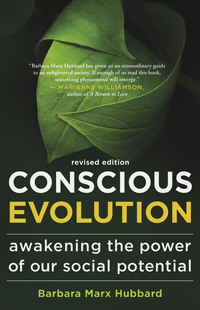 We hope you'll enjoy this short video, in which 85-year old Barbara Marx Hubbard, author of Conscious Evolution, talks about making the most of getting older. We also invite you to subscribe to New World Library's YouTube Channel for immediate access to the latest author interviews, book trailers, and more. We hope you'll enjoy this short video, in which Eckhart Tolle, author of The Power of Now describes the reciprocal transformation that can unfold when we truly commune with nature. We also invite you to subscribe to New World Library's YouTube Channel for immediate access to the latest author interviews, book trailers, and more. 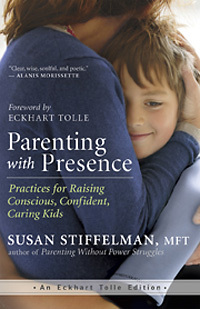 In Parenting with Presence, author Susan Stiffelman helps parents recognize that their children can be their greatest teachers. The very behaviors that push their buttons — refusing to cooperate or ignoring their requests — can help them build awareness and shed old patterns. The following is from the book’s foreword, in which Eckhart Tolle shares his thoughts on how Susan’s teachings can help parents transform parenting into a spiritual practice. We hope you'll enjoy this short interview, in which Marc Allen talks about The Greatest Secret of All and how we create anything in our lives from a place of ease. We also invite you to subscribe to New World Library's YouTube Channel for immediate access to the latest author interviews, book trailers, and more.